I've just signed up to enjoy some decent clean racing. I'm not the fastest - and don't expect to be - but I always aim to keep it neat, tidy and respectful. I'm fed up with the chaos that public lobbies give and I'm looking for something more organised and I reckon this might be the place! 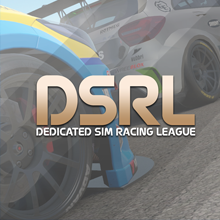 UK player on XBL - mainly Project Cars and recently Assetto Corsa plus occasionally Dirt Rally. Gamertag is BigDtheMighty. I've been keen on motorsport from an early age, particularly GT, Sportscar and endurance racing, especially the WEC and Le Mans.